How to Convert Google Apps into CRM? It’s a well-known fact that Google is completely cloud- compatible, from emails and documents to video chats and online storage. 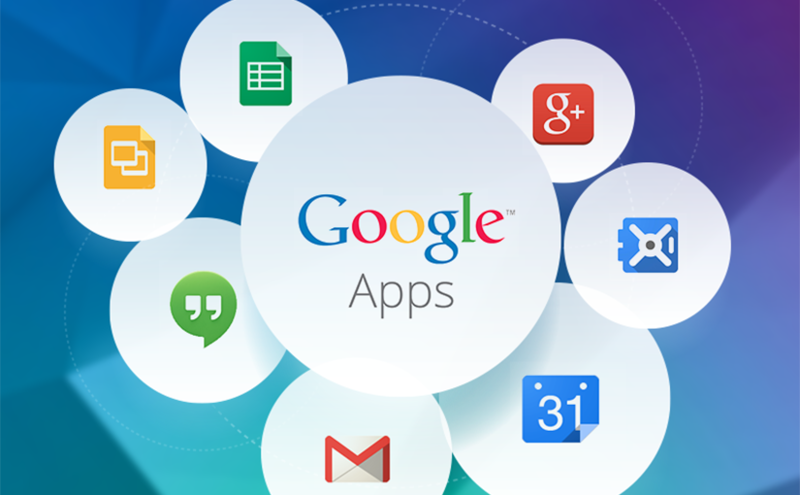 Google Apps is an amazing service by Google that features a few Web applications like traditional office suites. The services may differ per version, but generally include Gmail, Docs, Video, Groups, Sites, Talk, Calendar, and Marketplace. Its popularity among academicians and organizations is quickly expanding because of upgraded sharing features, accessibility and cost. Google’s suite of web-based products considers an exceptional level of collaboration and coordination of a wide range of projects, and is a natural fit for cloud-based CRM solutions. Most of the businesses are using at least one Google App, whether it’s Gmail, Google Docs, Google Calendar, or some other product. Given their convenience and access, it’s no surprise that most of the people prefer to use these applications over some other similar application. Even businesses with a powerful CRM tool like Salesforce clearly need a simple, economical solution stage, prep and qualify prospects before considering them “CRM” worthy. One of the biggest challenges faced by CRM managers is the inability to sink their data at one single platform. But thanks to applications like Makesbridge that gives us the convenience to sync all our data at one single platform and use it from a single dashboard. The level of storage we would take up for contacts we accumulate daily is astounding. Even if we had a budget to spend on the extra storage, there’s no reason to do so when tools like Google Apps exist to take on the role at fraction of the cost. For us, we use Google Apps to do the heavy lilting of storing contact data, then we use an integrated email marketing and marketing automation engine Makesbridge to continually refine and nurture those leads. After we’ve done a few marketing cycles on Makesbridge or telesales follow up, we know what contacts are quality enough and CRM ready. By using Google Apps along with an integrated marketing tool, it becomes so easy for businesses of all sizes to store and manage their databases. And when Google is integrated with a marketing platform like Makesbridge, you can send mass emails, trigger marketing automation to nurture, and even view the digital activity of your Google contacts. Also, benefits like comprehensive mobile access, collaborative document creation, and constantly-updated software — along with all the pros of a CRM system — makes this a win-win solution for all the organizations who are searching for a better way to do things. Here are some key benefits of using Google Apps as CRM. Support for Contact Data Format: Use columns in Sheets to create conforming data structure for efficiency and marketing automation. 1:1 Marketing Message Triggers: Use with a marketing automation tool to trigger messages when values in Contacts or Sheets occur. Marketing Automation: Use with a marketing automation platform to drip new leads, send an automated sequence of messages and score leads. Manage Relationships: Use worksheets and columns in Sheets and custom fields in Contacts to manage all your relationships, including customers, vendors, leads, contacts and more. Organize your emails: Helps to easily link all your emails while sending or receiving emails from your contacts. Customize as per need: Customize based on how you work. Sheets for contacts, customers and prospects. Set data fields in columns. Manage and automate your sales: Effectively track bids, proposals, deals and other prospects. See where your future income is coming from. Integrate with a business analytics tool like Makesbridge to get dashboard reports of trends in these areas. Share Access and Tasks: Create and share tasks with co-workers. Archive or Link particular Gmail messages to the CRM for team sharing. Full history in one place: Attach notes, conversations, docs and files right into a contact’s history so it’s easily available. Makesbridge offers you a comprehensive and integrated marketing experience. If you use Google Apps as CRM, this can easily be used with Makesbridge. Makesbridge offers tight integration with Google Apps and allows users to run and manage drip campaigns while using Google Apps for Work as CRM. Create decent newsletters, customize landing pages, write content, and design with our easy editor and manage your email campaigns. The lead nurturing facility enables you to keep communication alive and people engaged. Click on the image to Obtain the Freedom Offer.